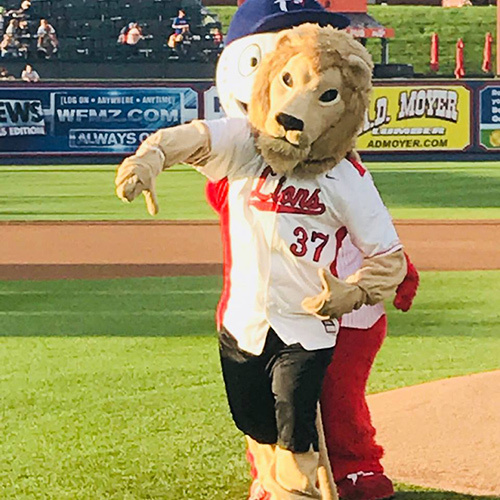 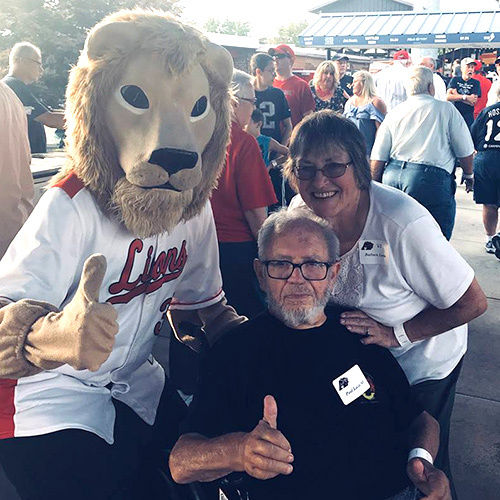 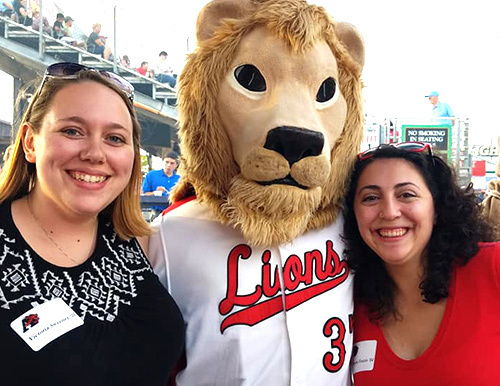 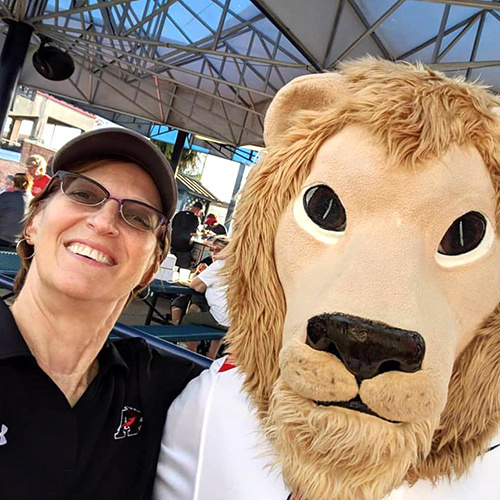 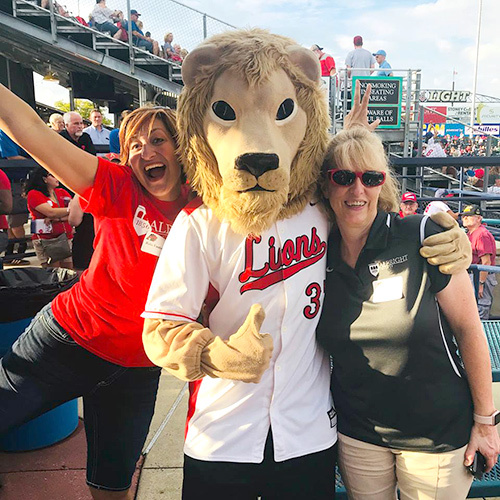 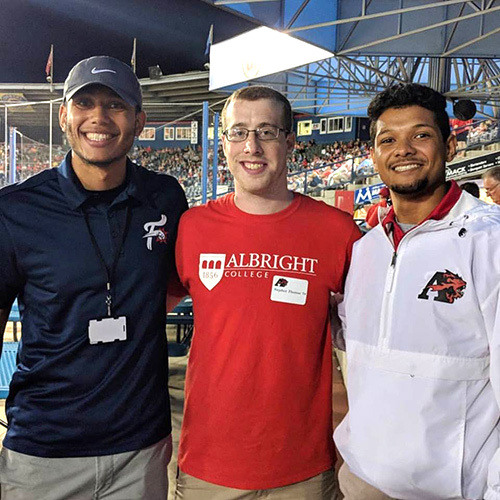 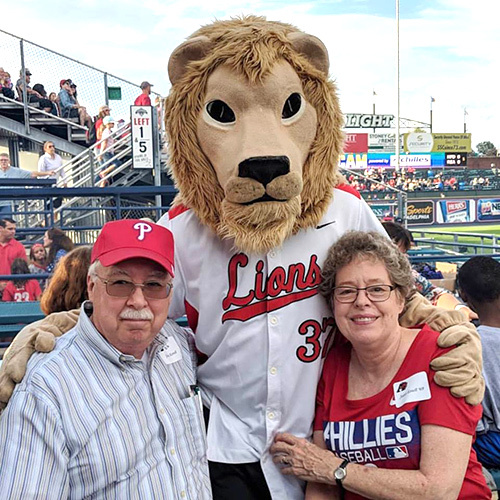 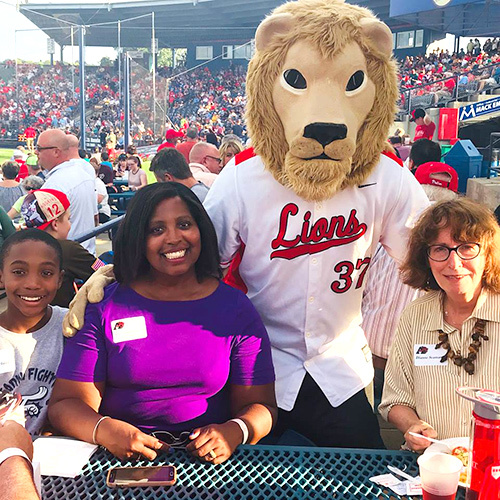 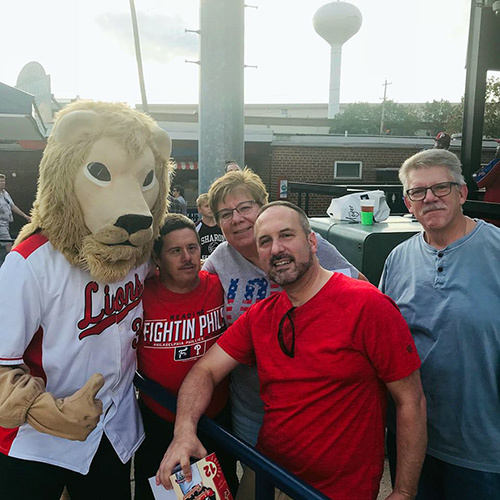 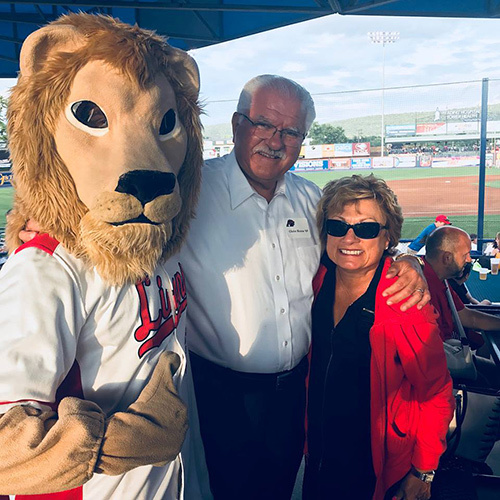 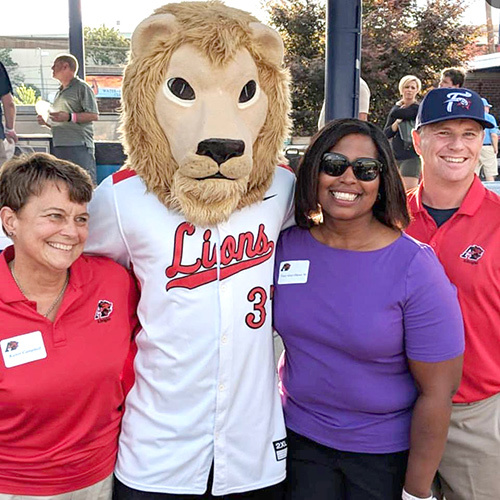 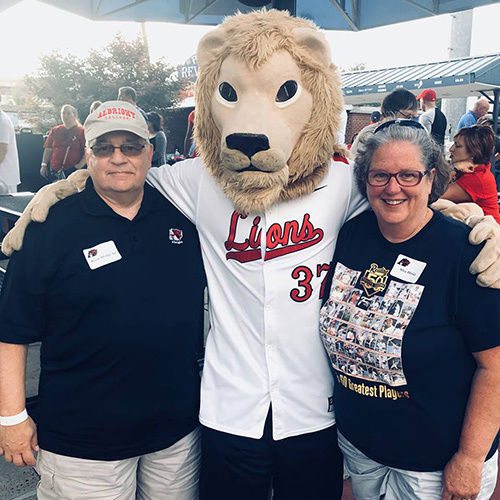 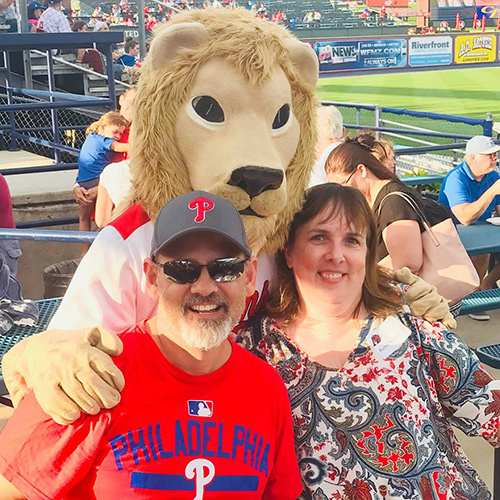 On Tuesday, Aug. 14, the Albright College Alumni & Donor Engagement office hosted an evening with the Reading Fightin Phils at First Energy Stadium. 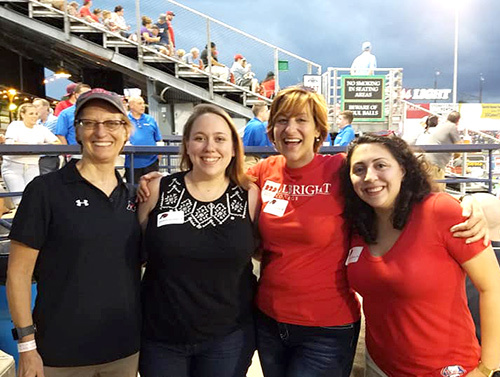 More than 30 alumni and family members were in attendance, including President Jacquelyn S. Fetrow, Ph.D. ’82 and her husband Brian Kell. 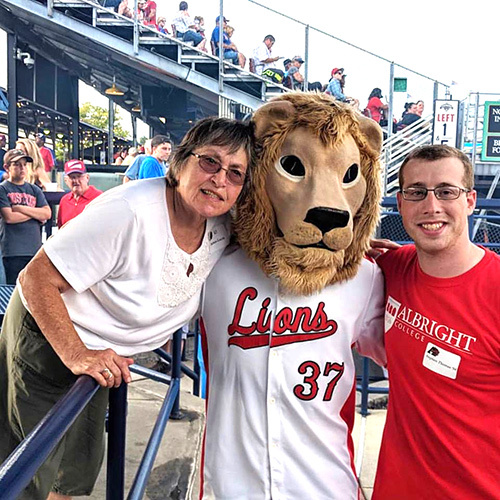 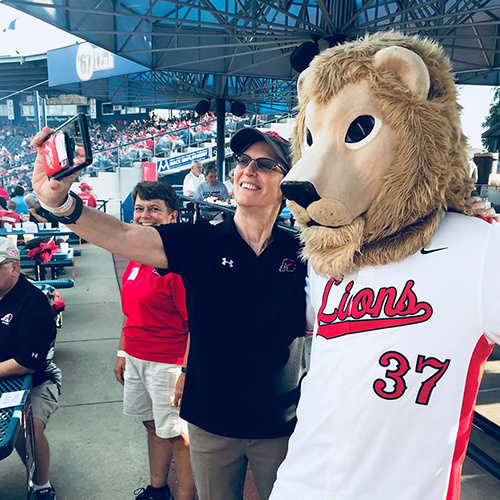 The event started off with the Albright Lion throwing the first pitch and included food, refreshments and lots of Albright pride and storytelling!